DerbySoft recently connected Club Med with WeChat via the social media platform’s mini-programs by developing the real time booking and online payment functionality for the resort brand. Club Med’s mini-program is more integrated and easy to use than other third party mini-programs on WeChat, China’s largest social media platform. 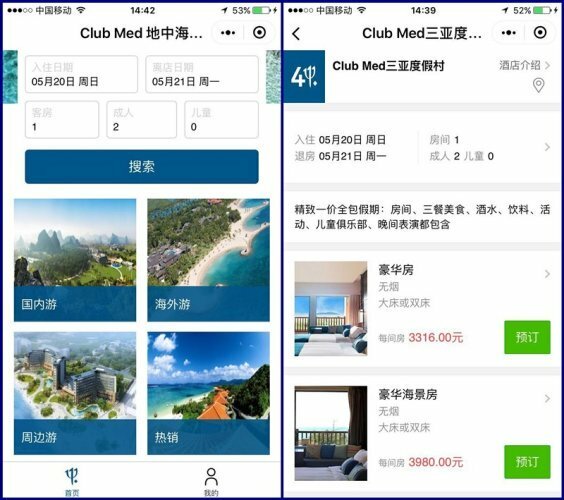 With this mini-program, WeChat users can search, book and make a payment online to more than 80 Club Med resorts worldwide from the WeChat app. DerbySoft took only three weeks to develop the WeChat mini-program, integrating with Club Med’s Central Reservation System (CRS) to connect the resorts’ real-time available rates and inventory (ARI) to the WeChat mini-program. This is not the first DerbySoft connection with the Paris-based resort brand. In February of this year, DerbySoft successfully connected Club Med with one of China’s leading online travel agencies, Meituan Travel.